As mobile developers, we spend most of our time creating new screens or changing screens that already exist and we need to know that the code works. That is why in our development process we must use tools to verify that our application continues to work as expected and that our development meets the quality of the desired product according to the user story. And in this article, we will talk about Espresso Testing. Classic ui testing -> focuses on views and their interactions. Snapshot testing -> guarantees the perfect design, leaving interactions aside. What is Espresso Testing? How does it work? 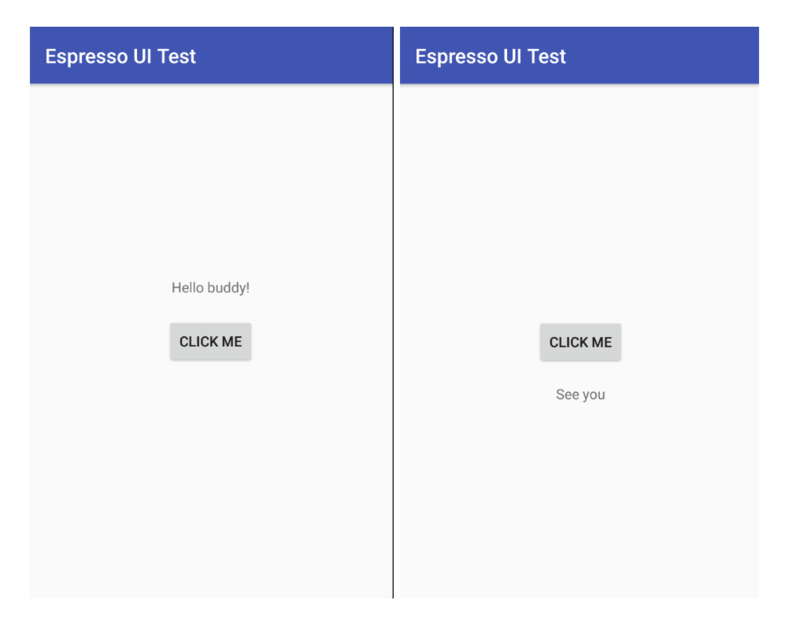 Espresso is a framework created by Google for Android that allows us to write tests on the user interface. It has a simple API, easily adapts to our needs and eliminates the complexity of managing different threads. Working with espresso it is advisable to have this sheet nearby. To make Espresso Testing work in our project we need to add the dependencies in our ‘app / build.gradle’ file and a physical or virtual device. As a small practical exercise, we have created a view with two textviews and a button where we want to evaluate that when we press the button a textview is hidden and another one is shown. 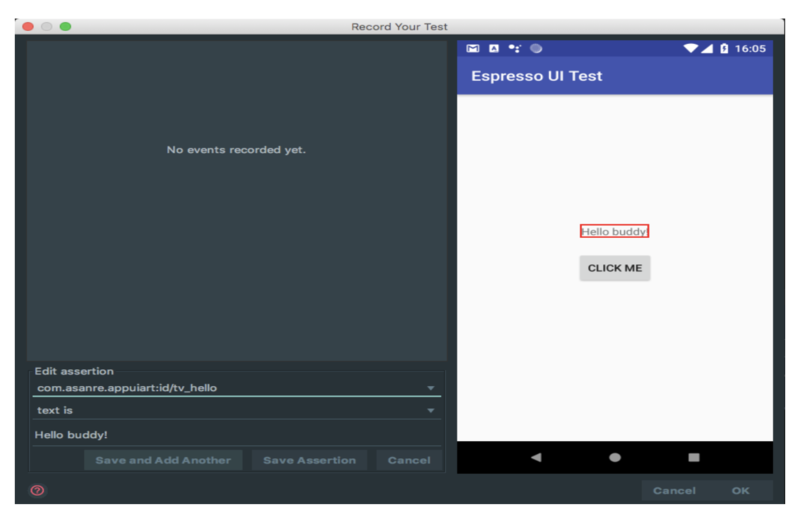 We can create our ui test manually or automatically using the espresso record tool. It will launch a screen where we can go making assertions. We can verify that Espresso has automatically generated more code, which can be easily broken and will require more maintenance. For example, we used the literal string to find the view and in case of changing the language to the device the test would fail, however we can manually use the id of the string resource and add as many matchers as we need. This hamcrest reference guide can be useful when working with matchers. As humans, we are prone to make mistakes and this implies that our software is vulnerable to bugs and defects. Espresso helps us detect errors that may have been made in the development, ensuring the reliability of the Client and his satisfaction with the application. If you have not yet added Espresso to your development tools, think about the people who will have to test the application manually. If you are interested in knowing more about knowing more about Espresso Testing, I highly recommend you to subscribe to our monthly newsletter by clicking here.